Waiting for the industry to both develop an infrastructure to support widespread drone use and put risk and safety-based systems in place has caused an increase in inquiries about insurance for drones across commercial industries. Meanwhile, insurers themselves have begun to implement the new technology to make their jobs easier. In short, the future looks bright for drones in the insurance industry. 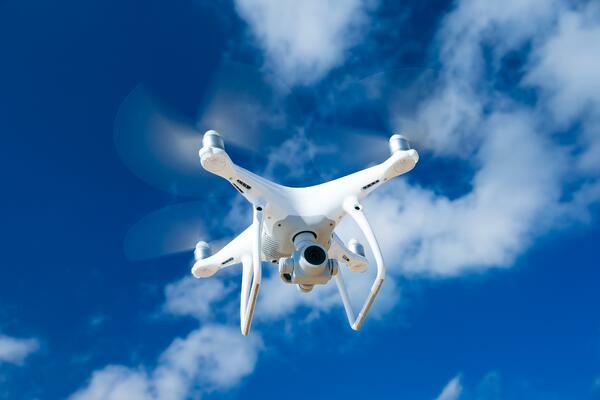 Unmanned aircraft systems (UAS), or drones, offer a number of advantages for insurers, including damage inspections, post-disaster claim inspections and fraud monitoring. Drones are especially effective in the adjustment of property claims and roof damage inspections, which are notoriously costly and hazardous to inspect, particularly if the roof is especially steep or has experienced fire damage. Employing a camera-equipped drone to survey the structure can help to prevent injury and obtain detailed images of areas that would not even be accessible to an insurance adjuster. Conducting inspections for extensive or difficult-to-reach properties can also provide significant benefits to the agriculture industry. For instance, a drone can inspect a sizeable field of crops and allow a crop insurer to easily detect issues from above. Drones can cover hundreds of acres in a single flight and capture highly accurate images of an agricultural landscape without the cost and complexity of manned flights or ground services. Equipped with infrared cameras, sensors and other technology controlled by a pilot on the ground, drones can collect data that helps to identify issues that are invisible to the human eye. In addition, infrared cameras could check crops for diseases that growers can then tackle more quickly than typical observation methods. Drones are also valuable for post-disaster claims inspections, or inspecting areas affected by major disasters likes floods or earthquakes. Access to disaster areas may be too dangerous or restricted to individual entry. However, insurers can use drones equipped with cameras to capture images of the area and any damaged property to process claims efficiently. With more adjusters in the office to review the loss data and process claims rather than conducting field work, an insurer can also reap substantial savings on travel and lodging costs for adjusters. Finally, drones can even be used to deter insurance fraud. An insurer can send a drone to take photos of an accident scene and use that collected data to verify claim details submitted by the insured. And by using drones to capture data loss, insurers can process claims more quickly, which helps to build customer satisfaction. UAS technology is making a dramatic impact on the insurance industry and changing the way traditional approaches are carried out. Drones offer insurers a number of potential benefits when compared to traditional operations, like: cost-savings, improved safety, operational effectiveness and greater customer satisfaction. While industry leaders have been eager to embrace the technology, many insurers have been reluctant to utilize drones because of the complicated permission process under FAA regulations. Safety concerns from the FAA have been delaying the swift deployment of UAS across various industries, including insurance. Fortunately, the revised FAA rules in 2016 eased requirements on drones used for commercial purposes, allowing drones to become increasingly commonplace in insurance companies. However, much red tape remains. With Simulyze’s OI platform, UAS operators can operate safely and efficiently with real-time data insight and situational awareness that enables well-informed decisions. The data gathered, images captured and post-inspection analysis capabilities are set to transform the way the insurance industry and more conduct their daily tasks. OI can serve as an important enabler that will support the rules governing the broader use of commercial drones. Schedule a demo with Simulyze today to learn more about Simulyze’s operational intelligence applications for commercial UAS operations.